With eStudio Forms software your business can create and deploy custom online forms. Replace any paper form that you currently use with an eStudio form. Create templates for Order Forms, Agendas, Visitor Passes, HR Profiles, Compliance Affidavits, Checklists, Application Forms, Lead Generation Forms and more. Get automatic email and SMS text alerts when forms are completed. Export your Form results to Excel .XLS to mine results from hundreds of users, thousands of questions and data points, and millions of responses. 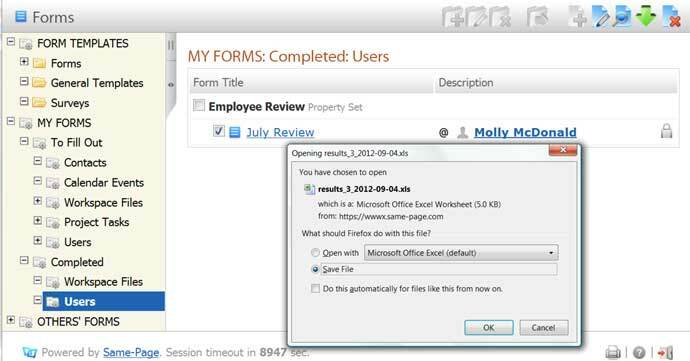 eStudio Form Software takes any existing form (or use our templates) and puts it online for your co-workers to fill out. 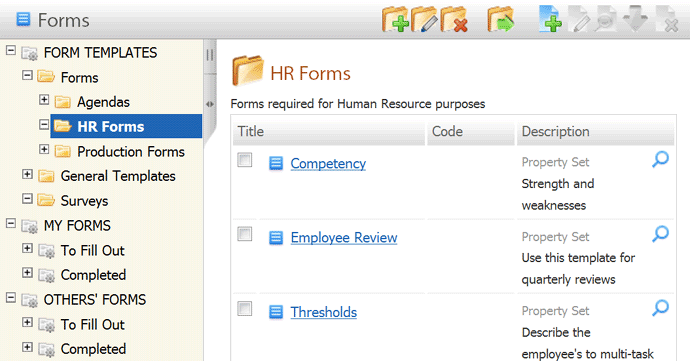 Get organized and centrally manage the forms for every department in your organization. 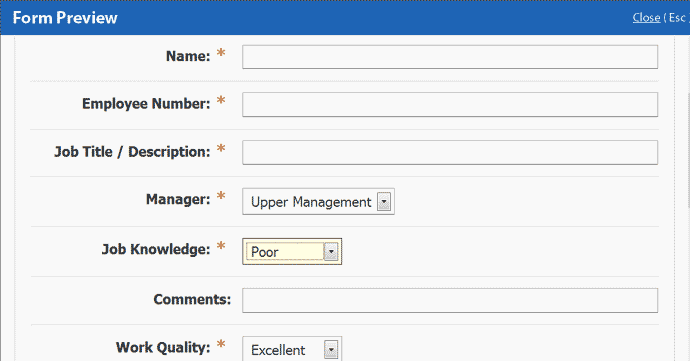 Create and design new forms with different input types including checkboxes, dropdown boxes, single or multi-line text boxes, and more. Too busy…send us a sample form as a PDF or image file and we convert it for you. Download the completed forms as an Excel .XLS workbook to better understand how to improve your business processes. Automating your business processes with online forms will help improve efficiency, customer service, and time to value, making you more responsive to customer and market needs. Cuts costs by eliminating printing, distribution, processing, and storage of paper, and minimizes environmental impact with electronic forms. With eStudio you can create an unlimited number of forms for an unlimited number of users. eStudio Forms can also be attached to other eStudio online collaboration tools . Got a meeting? Create an Agenda Form and attach it to Calendar event. Need to confirm that the site inspection has been completed? Create a checklist and attach it to Project / Task. Have a new sales prospect? The Call Center can easily fill out a Lead Generation form and append to an eStudio Contact. Attach an Order Form to a Document insures that the contract specifications are handy. eStudio Forms are simple to build and simpler to use. Manage Form results by exporting .XLS workbooks. With our eStudio software, it becomes easier than ever to build forms and get the feedback, information and data you need to do better business. Remember our online business form software makes it possible for you to build as many forms and deploy them online as and when the need be, and get notified every time a new record is created. 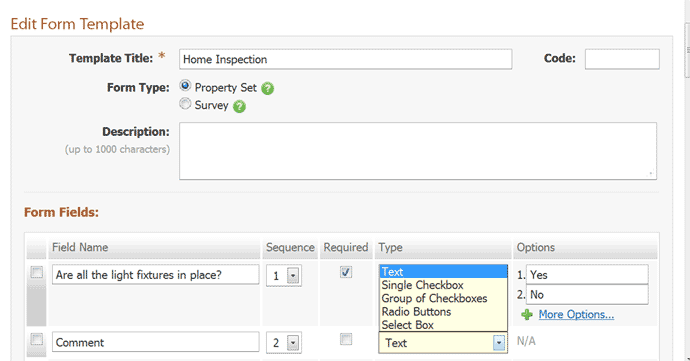 Take advantage of a user friendly form builder today.